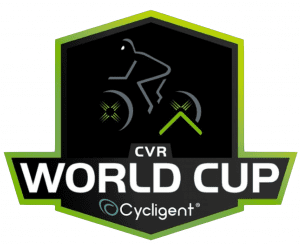 Vegas’ First Certified Virtual Racing at Millenial Esports on April 8 Cycligent is thrilled to announce Las Vegas’ first live virtual racing cycling World Cup, showcasing world-champion cycling superstars from 10 countries to compete against one another in Zwift’s online course environment. Fans and online viewers will be able to watch and cheer on incredible cycling talent representing their countries, like current Master World Road and TT Champion Scottie Weiss. On Saturday, April 8, 2017 beginning at 3:00 p.m. at Millenial Esports thE Arena, located at the Fremont Street Experience, 450 Fremont Street, Las Vegas, NV 89101. 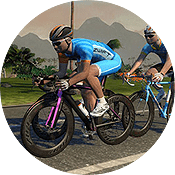 Cycling fans and E-Sport enthusiasts are invited to cheer on our riders as they fight for the win for their country and experience virtual racing, where real sport and effort is put into gaming competition. 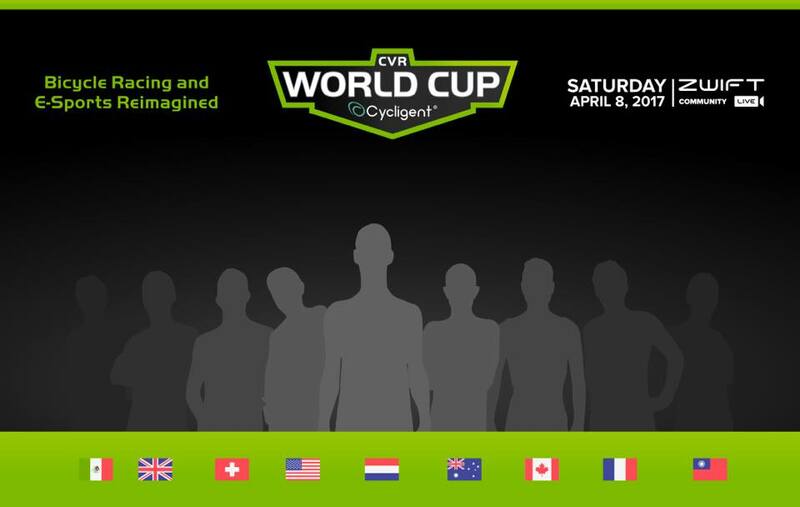 Riders from the US, UK, Australia, Mexico, Netherlands, France, Switzerland, Canada and Asia will be competing. Tickets to attend in-person can be purchased here. This event is a kick-off for a series of Future World Cup events. Friendlies, Qualifiers and the World Cup Finals 2017 Event will be coming soon! Frank Garcia, founder of Cycligent, says “Given the sharp increase of recent viewership and participation of esports events, the opportunity to bring these events into a live setting feels really exciting and fun. The energy of a race is always exhilarating, and sharing the online setting with the public will only enhance the race experience for both the cyclists and spectators alike.” Future teams and nationalities who want to participate are encouraged to send us an e-mail us at support@cycligent.com. 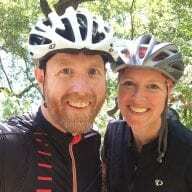 The event will be broadcast live in HD and emceed by Nathan Guerra, 2016’s #1 ranked USA Cycling MTB pro and Zwift Broadcaster through Zwift Community Live to an expected 30,000 viewers across the world via twitch at twitch.tv/zwiftcommunitylive.